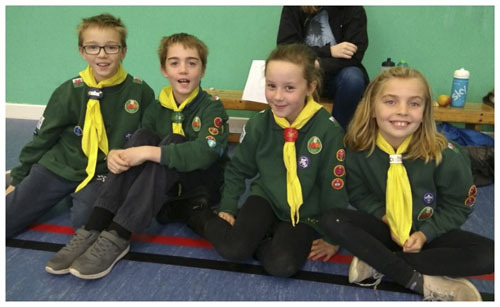 Congratulations to our four Cubs from 1st Wenvoe who all completed the District Cub Team Challenge event in October. The Cubs had to work in teams, practise their communication skills, solve problems and take the lead in a series of challenges. These included bean bag races, land-curling, string shapes, a 'crab football' mini tournament, building spaghetti and marshmallow towers, 'banana surgery' and bamboo catapults. 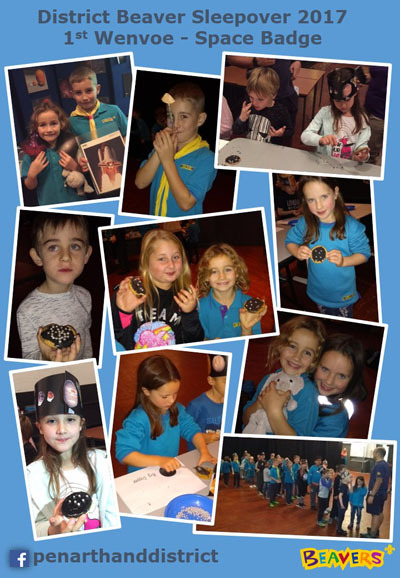 The Cubs all had a great time! These activities all count towards their Team Leader and Teamwork Challenge awards. The leaders all had fun running the activities and watching the Cubs making friends and working together to succeed. Well done to all involved! by email: 1stWenvoe@ penarthanddistrict.org.uk or have a look at our district Facebook page: www.facebook.com/penarthanddistrict.